Florida's Gulf Coast is yours to explore from the comfort of this cozy Destin condo. You'll be moments away from all the area's most exciting sights, with easy access to a shared pool, hot tub, and the beach. White sands and gentle waves are only steps from your building, with wet and wild rides at Big Kahuna's Water Park a brisk walk north. 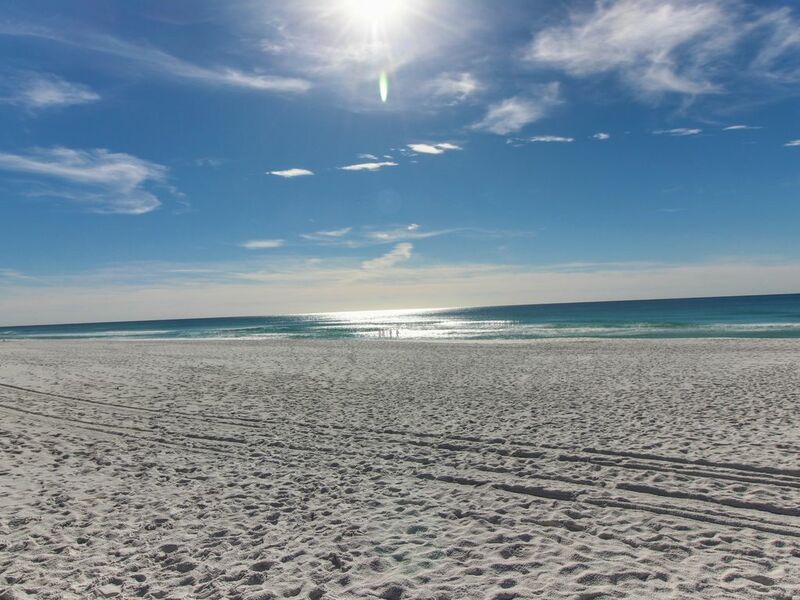 Destin is famous for its snorkeling and scuba-diving tours, but if you'd prefer to take it easy on land, rides and fishing on Okaloosa Island are only a seven-mile drive west. The shared pool and hot tub are perfect for relaxing after a long day out. Dry off and retreat to the condo's welcoming living room, where free WiFi and cable TV will keep you entertained. The full kitchen has all the basics for cooking, with a private charcoal grill outside offering even more options. The sunshine state awaits you - save your dates today! *Guests must be at least 25 years of age with the exception of multi-generational families. Parking Notes: Parking is just right of the pool. There is not assigned parking for this unit. Water Access: Automobile Gate code is #2591. Pedestrian Gate code is 2591. A nice condo. A clean condo. A VERY SMALL condo. Two people would be cramped for space. And.. The combinations for pedestrian gates are consistently relayed incorrectly with check in details. I read that same complaint in every review I scrolled through ahead of my arrival. TV reception is AWFUL.. Granted, you're at the beach and all - but I had two days and nights of RAIN. Tiny deck off the rear, sliders were junk. No lights at front door - pretty dark at night. We checked the codes and apologize for the error in your emails. We have corrected the codes based on the information given to us by the HOA. The TV reception currently appears to be working well, and the sliding doors, though older, work well when used correctly. We do currently have a work order in to get the porch light fixture replaced. Thank you! We appreciate this guest taking the time to provide us with this feedback! We apologize for the error with the gate code and have updated our notes to ensure future guests do not encounter the same issue. While the staff on-site are not Vacasa representatives, we will pass along this feedback regarding the gate attendant to the local building management. Thank you! Bed was very uncomfortable. Sheets were scratchy. Pillows small and hard. The overall property and beach were wonderful however. We will be back, although we will try another condo on the property. We have purchased new pillows for the home and trading out the linens. We appreciate this feedback and hope to have another chance to impress our guest! Location is fantastic,walked across the street to the beach,very well stocked with necessary supplies.